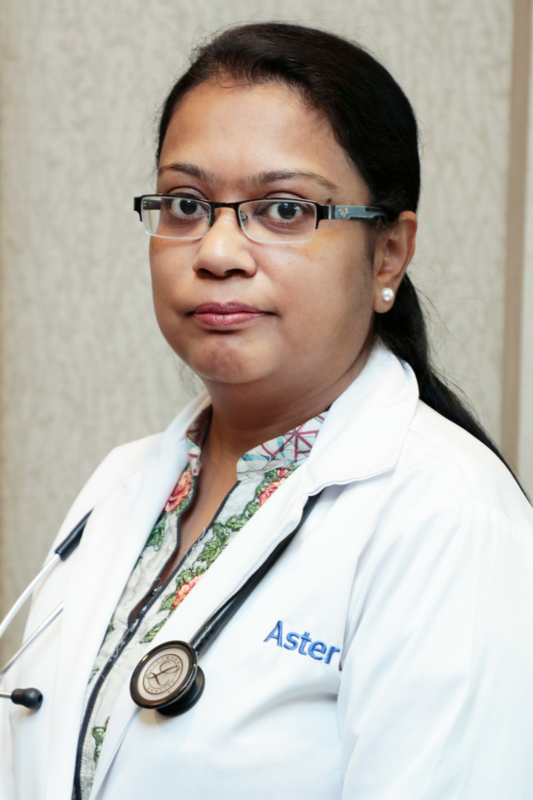 Dr. Bhawna Rathi is a Specialist Obstetrics and Gynaecologist at Aster Clinic, Aswaaq Mall. Dr. Bhawna completed her MBBS from the University of Sindh, and her FCPS from the College of Physicians and Surgeons in Pakistan. She brings with her over 10 years of extensive experience in Pakistan and Oman. Dr. Bhawna is adept at performing all types of c-sections as well as major and minor gynaecological surgeries. Her OPD experience includes managing high-risk pregnancy cases, infertility, contraception, pregnancy with diabetes, colposcopy, and HRT cases. 2012 : “Multidimensional approaches to reduce rising Caesarean section rate in Nizwa hospital.” Middle East Journal of Family Medicine, Volume 11, Issue 1, 2012.